kitchen and bath company in the Carolina’s. Call us today to set up your in-home consultation. You will be directed to Greenbrook Design kitchen & bath home center for scheduling. SEE THE LATEST IN STYLE AND DESIGN. GET THE MOST USE OUT OF YOUR SPACE. We never share your information outside of our company. Our projects are in many areas from Charlotte, Asheville, Hickory, Boone, Lake Norman, Lake Wylie & Rock Hill. We travel 100 miles from our showroom for our clients. We’ve got the Carolina’s covered! Over half of the projects we install are as a result of client recommendations, we believe this to be the highest compliment of any kitchen & bath company. We have a personal commitment to excellent quality, craftsmanship, and customer service. We don’t employ pushy salespeople; you will meet Travis Walker, the owner and founder of the business. We have designed, built and installed many custom cabinet projects over the years from kitchen & baths, to laundry rooms, entertainment centers, and custom millwork, so we know a thing or two about making dreams come true. So… What Makes Walker Woodworking Custom Cabinets Different From Other Kitchen & Bath Dealers? We can quickly assess what your entire project will cost by giving you a budget analysis. When a team member comes out to your home he/she will review all aspects of your job and let you know approximately what your cost will be. This will quickly determine if the project is with-in your budget. Typically an in-home consultation will take 1 – 2 hours. It is important that your renovation is well-planned and organized, plus maximizes all usable space. A good design is focused on the user, functionality, workflow throughout the home, and improved utilization of storage. We have the very best in CAD 3-D design. When you visit our showroom, a design team member, will review every aspect of your cabinet design options available that are unique to your home. Fall in love with your kitchen before the cabinets are even crafted. We can manage as little or as much of the project as you want. We have countless resources available to give our clients the options that work best within the needs of their budgets as well as their lifestyle. Each project is truly unique to the homeowner and we work with each situation to give the best overall client experience. Travis Walker, has actively been a part of every single project that has been done at Walker Woodworking. That’s 19+ years of experience in the kitchen & bath industry. Travis started out building custom cabinets and has worked in all aspects of the manufacturing process. Having personally trained many of the staff we currently employ, Travis has a great team from design to build. To schedule a consult visit in your home – simply fill in your details below. Brandon is our lead designer, having more than 15+ years in the industry he has a vast knowledge of design and home construction and remodeling. Design is not only about the aesthetics, but also about function as well as installation. All of these things must be considered as part of any kitchen and bath design. An excellent designer like Brandon can bring to life the perfect kitchen or bath. If you are building a new home and are ready to get the design process started, please fill out our contact form or call us today! There’s no such thing as “Too Early” to begin! We look forward to connecting with you! Want to see firsthand the craftsmanship, quality and installation of Walker Woodworking Custom Cabinets? Greenbrook Design Kitchen & Bath Home Center located in Uptown Shelby has a full showroom of Walker Woodworking cabinetry on display. Kindly fill out the contact form and we will give you a call! Establishing your budget early in the process will be helpful as it will give us one of the key ingredients that will go into making a design that you LOVE. Our design team can help you get a sense of what a realistic budget might be for your project from the beginning. We want to make sure you are not only happy with the look but also the cost of your project. We offer several price points and can work with the budget YOU have in mind! Before you begin any home remodeling project, whether major or minor, you need a plan. A design plan…A budget plan…A timeline plan…A plan to plan, the list goes on and can be overwhelming. Finding the right professional to do the job can be time consuming. Save time and money by making your selections early. Get what YOU want. By making selections early in the process. 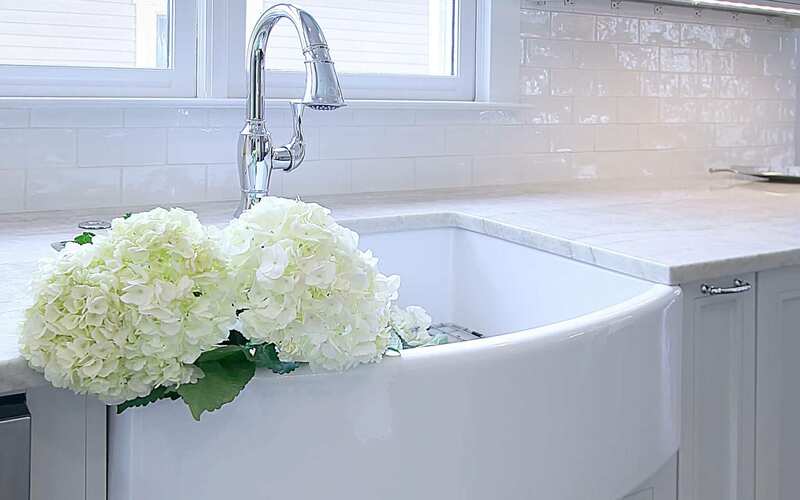 Don’t be disappointed by making selections last for your kitchen and bath. These are the most used spaces in your home and they deserve the most attention when planning your new construction project. We have worked with many contractors, and are always open to working with new faces in the industry. WE ARE HERE TO HELP – No Project is too big or too small for us! Visit our Project Gallery to see some of our AMAZING Projects. Need Options? We have them! We understand a house project, wether it be a remodel or new construction can be overwhelming! No more worries, this is what we do everyday and we can help filter the process for you based on the options we offer. Style: We offer a variety of style options with our custom cabinetry from modern to traditional, historic to trendy, custom cabinets are always in style! Wood Species: Oak, Cerused Oak, Maple, Cherry, Slab, whatever you are looking for we assist you in determing the best wood species for your project. Color: (Painted or stained) We have our own finish department in house, therefore we can offer custom finishes for any project. Build Method: Inset, Standard overlay, or Frameless – Not sure, no worries all of this will be fully explained at your design meeting! Thank you so much for making our dream come true. What a team effort – the work was great you are amazing. Thanks for outstanding cabinets that everyone who sees just thinks are gorgeous! All went as your company said it would. Thank you!! I am very pleased with the work and service provided by your company. You have a very professional , helpful and pleasant staff that anyone would enjoy working with. Neil did an awesome job managing everything and was a joy to work with. I will be telling all our family and friends who the Best Custom Cabinet Company is in Cleveland County! This to let you know that we are absolutely delighted with all of the cabinets for our new home. Not only is the quality superb but the whole experience was delightful. We enjoyed working with your design team right from the beginning. Their experience clearly showed through the many recommendations which resulted in a beautiful yet very functional design. While visiting your workshop we became convinced that we were making the right decision. This clearly was borne out by the excellent quality of the cabinets which were delivered through the professional craftsmanship of your team. The installation team was delightful to work with. Their demeanor and willingness to accommodate the changes that we requested was greatly appreciated. They were so pleasant in every way that we truly miss not having them around anymore. Your company had been recommended to us by one of your previous customers for which we are very grateful. The results speak for themselves and we highly recommend your company and team to any potential client. The results were beyond our expectation.